Information on study options and programs. Find out more about cost of attendance, room and board, tuition and fees. Discover majors and in-demand careers based on your interests. Returning adults, veterans and active duty military will make use of interactive applications that include prospective degree audits, transfer checks, and prior learning assessments. Transfer students benefit by learning how previously earned credits will apply to programs of study and credentials. All students, new or returning, will have access to the UA guided transfer pathways, general education requirements, transfer agreements, admission guidelines, and a cost calculator for financial planning. The House Finance Committee approved an amendment Thursday evening that restored much of the University of Alaska’s funding from the drastic $134 million cut proposed by Gov. Mike Dunleavy. The University of Alaska Board of Regents voted 6-5 to provide initial teacher preparation programs in Anchorage through UAF and UAS. Education students will be able to remain in Anchorage to pursue their teaching degrees from accredited and approved programs. The University of Alaska is a land-, sea- and space-grant system of higher education established in 1917. 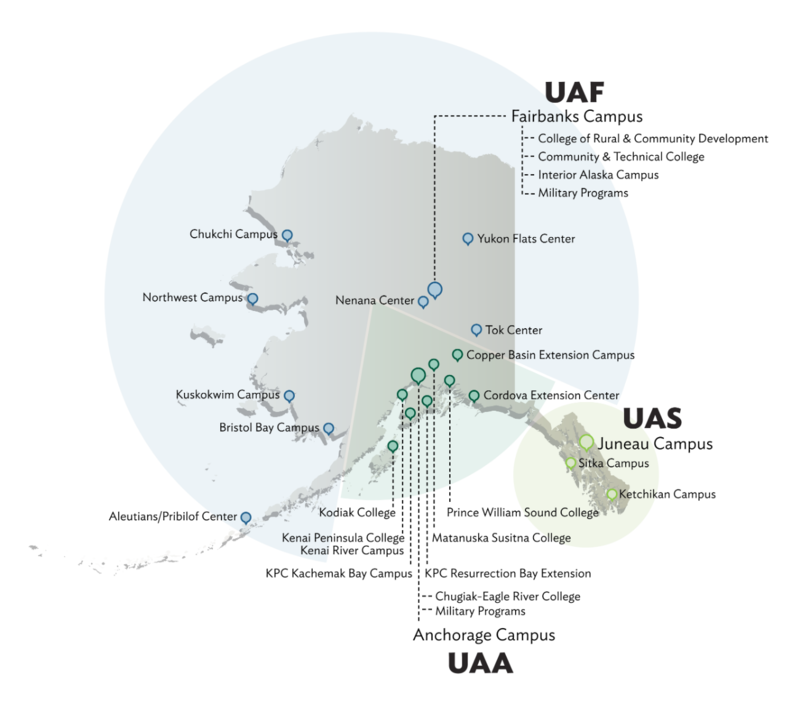 The UA system's three universities (UAA, UAF and UAS) are separately accredited institutions with campuses and extended learning centers across the state of Alaska.